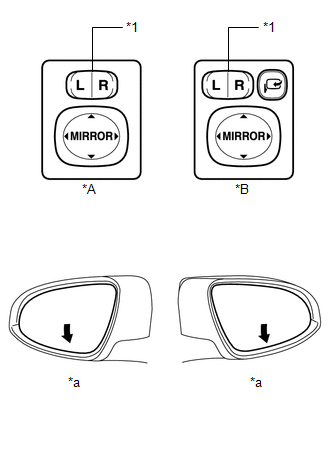 (b) With the mirror select switch set to L, check that the outer rear view mirror LH surface moves up, down, left and right normally. (c) With the mirror select switch set to R, check that the outer rear view mirror RH surface moves up, down, left and right normally. 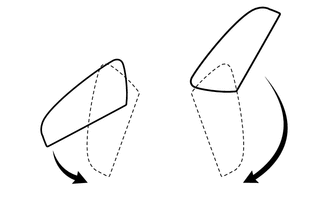 (a) Turn the ignition switch ON and move the shift lever to P.
(b) Check the M1 switch. (1) Using the mirror adjust switch, turn the mirror surface to the full left position. (2) Check that the buzzer sounds for 0.5 seconds and the seat position is memorized when the M1 switch is pressed within 3 seconds of the SET switch being pressed. The mirror surface position will be stored when the M1 switch is pressed after first pressing and holding the SET switch. 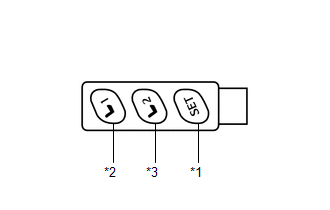 The mirror surface position will not be stored when the SET switch and M1 switch are pressed simultaneously. The mirror surface position will not be stored when 2 or more of the memory switches are pressed simultaneously (for example, M1 and M2) after first pressing the SET switch. (3) Using the outer mirror switch assembly, turn the mirror surface to the full right position. (4) Press the M1 switch. (5) Check that the buzzer sounds for 0.1 seconds and the outer mirror automatically moves to the recorded full left position. (c) Check the M2 switch. (1) Using the mirror adjust switch assembly, turn the mirror surface to the full right position. (2) Check that the buzzer sounds for 0.5 seconds and the seat position is memorized when the M2 switch is pressed within 3 seconds of the SET switch being pressed. The mirror surface position will be stored when the M2 switch is pressed after first pressing and holding the SET switch. The mirror surface position will not be stored when the SET switch and M2 switch are pressed simultaneously. (3) Using the outer mirror switch assembly, turn the mirror surface to the full left position. (4) Press the M2 switch. (5) Check that the buzzer sounds for 0.1 seconds and the outer mirror automatically moves to the recorded full right position. (b) At each outer rear view mirror assembly position, check the retractable mirror operation when operating the retractable outer mirror switch. 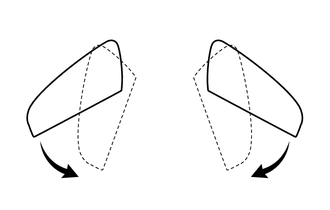 (1) Move the mirrors to the driving position. (2) Turn the retractable outer mirror switch to the retract position. (3) Check that the right and left outer rear view mirror assemblies move from the driving position to the retracted position. 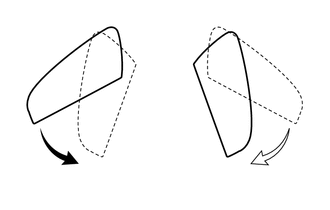 (4) Move the mirrors to the driving position. (5) Move one of the outer rear view mirror assemblies to the forward position by hand. (6) Turn the retractable outer mirror switch to the retract position. (7) Check that the outer rear view mirror assembly in the forward position moves to the retracted position, and check that the other mirror moves to the retracted position. 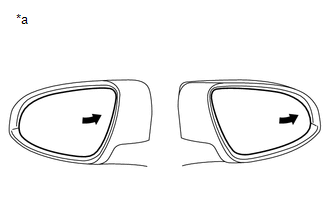 (8) Move the outer rear view mirror assemblies to the driving position. (9) Move one of the outer rear view mirror assemblies to the retracted position by hand. (10) Turn the retractable outer mirror switch to the retract position. (11) Check that the outer rear view mirror assembly in the driving position moves to the retracted position. (12) Move the mirrors to the retracted position. (13) Turn the retractable outer mirror switch to the driving position. 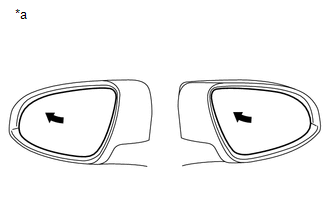 (14) Check that the right and left mirrors move from the retracted position to the driving position. (15) Move the mirrors to the retracted position. (16) Move one of the outer rear view mirror assemblies to the driving position by hand. (17) Turn the retractable outer mirror switch to the driving position. (18) Check that the retracted outer rear view mirror assembly moves to the driving position. (c) Check the operation of the outer rear view mirror assembly according to retractable outer mirror switch operations and ignition switch condition. (1) When the outer rear view mirror assembly is operating, turn the ignition switch off and check that the mirror operation stops immediately. (2) This time, turn the ignition switch ACC and press the retractable outer mirror switch. Check that the outer rear view mirror assembly operates in the opposite direction. 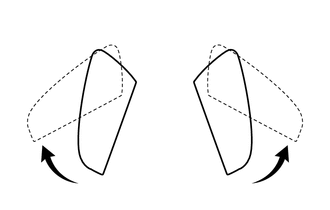 (d) Check the operation of the outer rear view mirror assembly when it is blocked by an obstacle. (1) When the outer rear view mirror assembly is moving to the retracted or driving position, block the outer rear view mirror assembly by hand. Check that the mirror stops moving. (2) With the outer rear view mirror assembly stopped partway, push the retractable outer mirror switch. Check that the outer rear view mirror assembly moves in the opposite direction. Shift lever is moved to any position other than R.
Mirror select switch is in the neutral position (off). The registered electrical key transmitter sub-assembly or door control transmitter assembly recognition code is recalled automatically. If the memory call function is not operated, the buzzer will not sound. (b) With the ignition switch off and the driver door closed, press and hold the M1 or M2 switch while carrying the electrical key transmitter sub-assembly or door control transmitter assembly. The main body ECU (driver side junction block assembly) will enter electrical key transmitter sub-assembly or door control transmitter assembly recognition code registration mode to allow a key to be linked to mirror surface memory position. (c) When the manual door lock switch is pressed, check that the buzzer of the position control ECU and switch assembly sounds once (0.5 seconds). (d) With the ignition switch off and the driver side door closed, press and hold the SET switch while carrying the electrical key transmitter sub-assembly or door control transmitter assembly. The main body ECU (driver side junction block assembly) will enter electrical key transmitter sub-assembly or door control transmitter assembly recognition code deletion mode. (e) When the manual door lock switch is pressed, check that the buzzer of the position control ECU and switch assembly sounds twice (0.1 seconds each time). 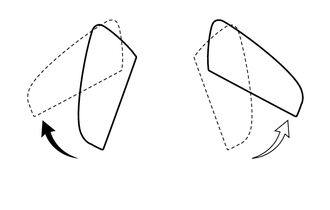 (a) While a memory call function is operating, check that any one of the following actions will stop the memory call operation: 1) pressing the SET, M1or M2 switch, 2) moving the shift lever to R, 3) moving the mirror surface manually, or 4) moving the mirror surface to the uppermost, lowermost, leftmost or rightmost position.